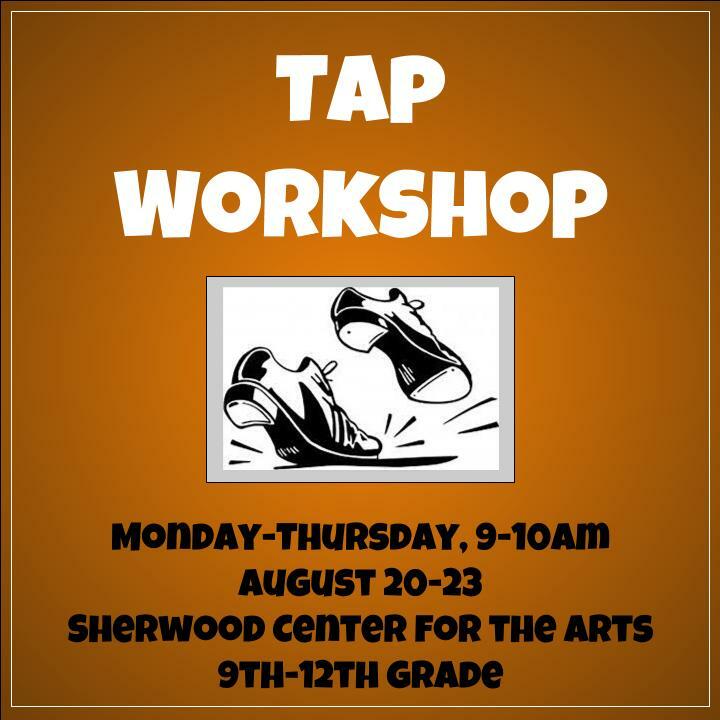 Here are details for an upcoming tap workshop open to high schoolers going in to grades 9-12. There may also be some strength and cardio conditioning from 10-11am, details to follow about that. Please wear clothes you can move in. No exposed mid-driffs and no short skirts. You do NOT need tap shoes, but bring them if you have them. Tap shoes should be flat, not heels if possible. If you do not have tap shoes, any tennis shoe or men’s dress shoe will be good. No ballet or jazz shoes and no barefeet or flip flops. Reminder – This class is not required in order to participate in the SHS musical, nor it is a guarantee of placement in the SHS musical.